Anyhow, the original cells crapped out after 2-½ years, when these still delivered 13 days. After 4-½ years, they’re lasting 12 days between charges. Color me surprised, because they’re 600 mA·h NiMH cells. The originals were 2000 mA·h cells, which you’d expect would last longer, but noooo. No reason to change them yet, which is good news. FWIW, I recently bought some cheap brush heads from the usual low-end eBay seller. The OEM brushes have colored bristles which fade to tell you when to change brushes, although I run ’em quite a bit longer than that. 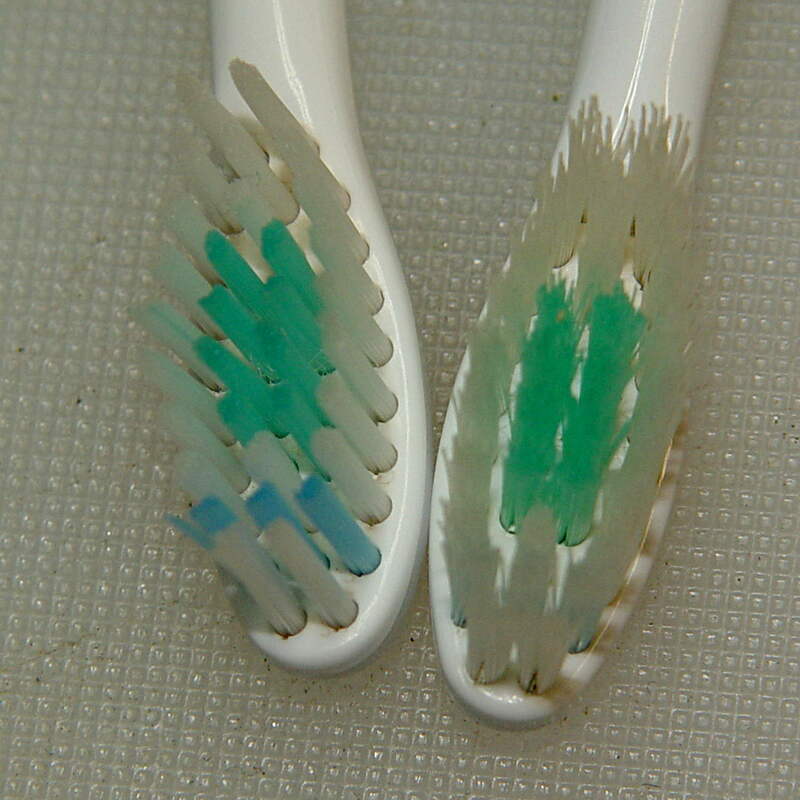 The cheap replacements have never-fading colored bristles and, I suspect, all the bristles are much too stiff. The dental hygienist says I’m doing great, so it’s all good. High truth: at best, you get what you pay for. (*) Being that type of guy has some advantages, if you’re that guy. Otherwise, it’s a nasty character flaw.